The Eugene Opera Company recently staged a production of John Adams’s Nixon in China. It was daring for a small company with limited resources to stage a work like this. It was nevertheless a handsome production with good performances. I must say, though, that the opera itself is a curious and unsatisfying piece. 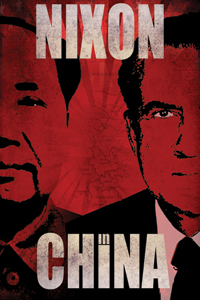 As the title indicates, it is about Richard Nixon’s 1972 trip to China. It is an opera about politics that largely avoids the topic of politics. In an interesting moment in the first act, for example, Mao tells Nixon that he prefers right-wingers to “doctrinaire Marxists”. One would like to hear him explain why he feels this way, but instead he quickly moves on to another, less interesting topic. (I can’t remember what it was.) To be fair, opera is not the most ideal medium for discussing complex political ideas. But in that case, why make an opera about Nixon’s trip to China? Peter Sellars, who originally conceived the idea for this work, said that he was interested in this event because it was both “a ridiculously cynical election ploy … and a historical breakthrough”. Nixon’s “breakthrough”, by the way, actually consisted of the fact that he simply ended the US’s irrational policy of not recognizing the Chinese government. In any event, the opera never really explores this seeming contradiction. Indeed, it’s not clear what this work is trying to say. An interesting question is how did Mao and Chou rationalize meeting with a man who waged a savage war against a Communist country? And how did a rabid anti-Communist like Nixon bring himself to get all chummy with Chou-en-lai? Clearly there were geopolitical motives here, but the opera doesn’t even address these issues. Instead we get Nixon reminiscing about his days in the army during World War II (who cares? ), and Mao and Chiang Ch’ing talking about how happy they were in the days before the revolution (again, who cares?). Adams and the librettist, Alice Goodman, have said that they wanted to make these people seem human. Yet what is important about these people is not that they were human, but that they made decisions that had dire consequences for other people. The opera’s portrayal of the Nixons is not really believable. Pat Nixon, for example, is portrayed as fun-loving and free-spirited. That’s not the impression I got of Pat Nixon. I don’t see how a fun-loving free spirit could have remained married to such a relentlessly grim person as Richard Nixon. The latter comes across as amiable but a bit dumb. This certainly doesn’t fit with what we know about Nixon. The best part of the opera is the ballet scene in the second act, if only because something interesting is actually happening on-stage. Aside from that, it is only because of Adams’s music that this opera keeps our attention. The term “minimalist” is often applied to Adams, but that term is misleading. One of the striking things about his music is his varied and imaginative use of tone color. He subtly uses different instruments to indicate the changing moods of the characters. It’s too bad that there isn’t a more compelling story to go along with this. This entry was posted on March 18, 2012 at 6:34 am and is filed under China, Cold War, Mao, Music, Nixon, Opera. You can follow any responses to this entry through the RSS 2.0 feed. You can leave a response, or trackback from your own site.